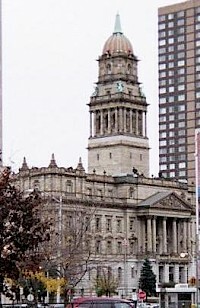 The Wayne County Building is a lowrise government tower in Detroit, Michigan. It stands at 600 Randolph Street, and contains the Wayne County administrative offices, and once contained its courthouse. The building was listed on the National Register of Historic Places in 1975. Detroit architect John Scott designed the building which stands 5 floors. The Frick Building is one of the major distinctive and recognizable features of Downtown Pittsburgh, Pennsylvania, United States. The tower is named after Henry Clay Frick, an industrialist coke producer who created a portfolio of commercial buildings in Pittsburgh. The building is listed on the National Register of Historic Places. 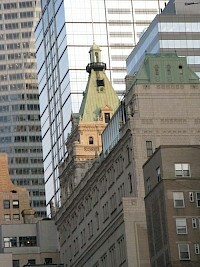 The tower was built directly adjacent to a building owned by Andrew Carnegie, on the site of Saint Peter Episcopal Church. 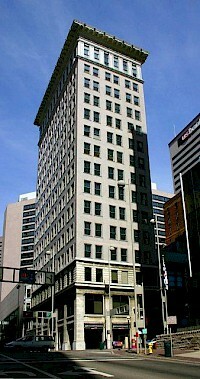 The Ingalls Building, built in 1903 in Cincinnati, Ohio, was the world's first reinforced concrete skyscraper. The 15 story building was designed by the Cincinnati architectural firm Elzner & Anderson and was named for its primary financial investor, Melville E. Ingalls. 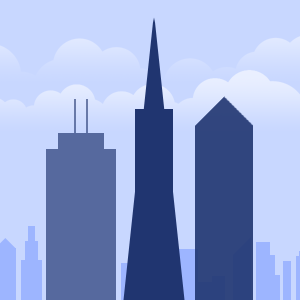 The building was considered a daring engineering feat at the time, but its success contributed to the acceptance of concrete construction in high-rise buildings in the United States. One Times Square (also known as 1475 Broadway, New York Times Building and New York Times Tower) is a 25 story, 395 foot (110.6 m) high skyscraper at 42nd and Broadway in Times Square. It was the second tallest building in the world when it opened. 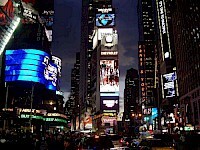 The famous New Year's Times Square Ball drop is performed annually from its roof. 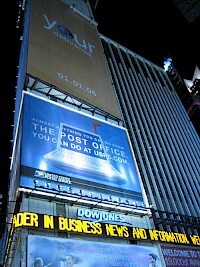 It was originally built to be the headquarters of The New York Times. The Times was to start the tradition of dropping the ball. The Charlevoix Building is an unused building in downtown Detroit, Michigan, United States, and one of the oldest standing structures in the city. The building is located at 2033 Park Avenue, in the Foxtown neighbourhood. It stands next to the Park Apartments, and across the street from the Kales Building. This is one of Detroit's oldest standing structures, built in 1905, standing at 12 floors in height. 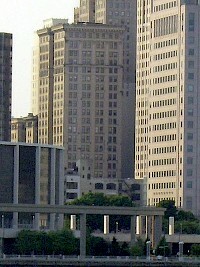 The Penobscot Block is a complex of office towers centered around the 45-story Penobscot Building at the corner of Griswold Street and West Fort Street in Downtown Detroit, Michigan. The other two buildings in the complex are the Penobscot Building (youngest of the three), Penobscot Annex, and The Penobscot Building (oldest of the three). The Times Square Building (formerly known as The New York Times Building) is an 18-story ( 81 m 267 ft ) building at 229 West 43rd Street in Times Square that was headquarters the New York Times from 1913 through 2007. The building was built in three stages between 1912 and 1937. The building, originally designed by Mortimer J.
HLW is an international architecture and design consultancy, with headquarters in New York City, with offices in Los Angeles, London and Shanghai. It is one of the longest-lived firms in the United States, tracing its beginnings to 1885 in New York. The firm traces its origins to 1885, when Cyrus L.W. Eidlitz worked on the design of the Metropolitan Telephone Buildings on Cortlandt Street in Manhattan. 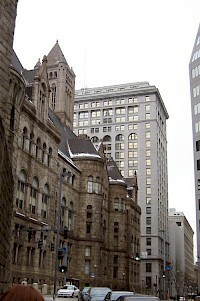 The Commonwealth Building, originally known as the Commonwealth Trust Bank, is a 300ft (91m) tall skyscraper in Pittsburgh. 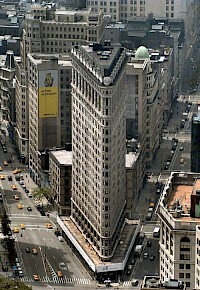 It was completed in 1906 and has 21 floors. It is tied with the The Carlyle and Washington Plaza for 26th tallest building in the city.